There's nothing more you could ask for! The owners are amazing and the rooms are beautiful! We loved staying there! My stay at happy house was indeed a happy one. The hosts, Alex and Kwan treated me and my friend like one of the family and I was very sad to leave! it was good and bad Bad: French Boss, you were smart you were nice BUT you were VERY not nice too. facing u was quite a stressful event everyday. ok u being u sometimes u dun like to probably express a kind and nice side or probably we dun understand you too well but U could be kinder. Or rather nicer or u know it best . The hotel is hard to find and in a noisy area. The room was newly renovated and clean. No breakfast or restaurant nearby. The bed wasn't very comfortable. Very affordable however. our stay was excellent! So clean and great staff. There wasn't a restaurant at the hotel but we didn't mind at all. The owners were extremely helpful and friendly. They even offered us to join them for a drink before we went out to dinner. The location is a little out of the way but we really liked that. It's about a 15 minute tuk tuk ride to the old city (we paid 200 baht per ride) which we thought was very reasonable. It's very peaceful and a nice little walk to a restaurant and a 7/11 near by. All in all I think it was one of our favorite hotels. Fresh towels and the room cleaned every day. Even coffee an tea available in your room. I would reccomend! Location is a little far from city center, but the owners are so nice and the place is so clean it is totally worth the little extra effort. The owners were on site, friendly and helpful. The room was clean and comfortable. If you plan on using Hi as a base from which to explore Chiang Mai, the owners will help you with transportation. 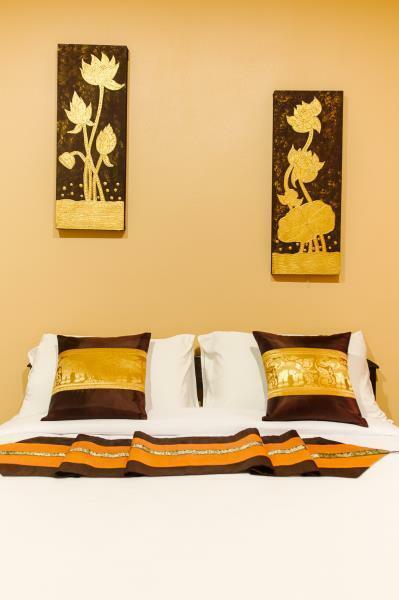 The location, while close to town, is a small village so you get a great local Thai feeling staying there. No hesitation in recommending Happy House if you need value for money in Chiang Mai. Our 4 day stay was lovely. Situated in a quiet leafy suburb of Chiang Mai we found the 3 story building was only one year old and built to high standards. Our room was equipped with a large fridge good for long stay with an outdoor cooking area with s/s sink. Free Wifi. Bed was a little hard as expected, typical Thai style. The room was very clean and serviced daily to 5 star standard. The owner a Frenchman and his Thai wife who made us feel at home and nothing was too much trouble for them to make our stay as pleasant as possible. We discovered a newly opened cafe/restaurant owned by an Englishman and his Thai wife within a few minutes walk. So we were lucky to enjoy a full course meal and a very cold beer. They have a pool table and darts too. 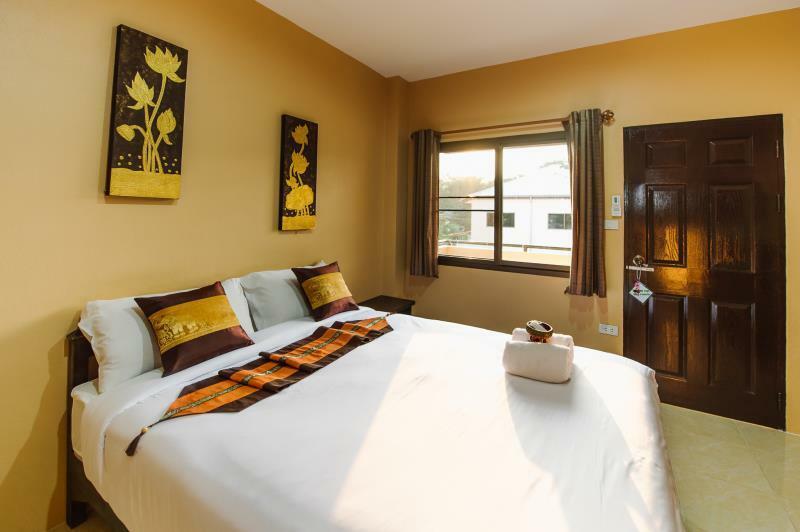 We can thoroughly recommend Happy House for any couple visiting Chiang Mai. Clean modern place in suburbs of outer Chiang Mai, a little hard to find, but friendly welcome and everything there in new room, with wifi, hot shower, etc. A few minutes walk to place to eat. Otherwise not many options nearby. Good if you want to get away from busy Chiang Mai. I can only recommend the Hapoy House. Although a bit outside the center and old town, the friendliness if the two owners (a French guy and his thai wife) make more than up for it. They even changed the mattress iof my bed after I mentioned that I don't find my current one very comfortable. The rooms are new, very clean, nice towels and hot water. They also rent scooters without any hussle and offer ashuttke Service to/from the Airport. I absolutly recommend this Place if you wanna have the feeling to stay like in your own home. One of the best experiences I had recently ! We initially booked two nights but ended up extending for two more as we loved the place. It is outside the city and away from the hustle and bustle, yet a 15 minute motorcycle ride gets you right in the heart of things. We stayed like 20 days there, we liked everything. all!! :D GOOD INTERNET, cleaning all the days, quite place! THANKS a lot! The 3 best things about Happy House are the superbly clean rooms, the very helpful staff and the peaceful location. I can’t recommend Happy House highly enough. The rooms are so wonderfully clean and well-appointed and there are nice little touches such as a kettle, water, mugs, coffee and even local biscuits, which you don’t expect from this sort of budget accommodation. The hostess is so very warm and friendly, she speaks good English and could not do enough to make my stay as comfortable and happy as possible. It is close to the airport and they offer a shuttle service. I recommend that you hire one of their reasonably-priced motorbikes as the centre of Chiang Mai is about a 10 minute drive away. 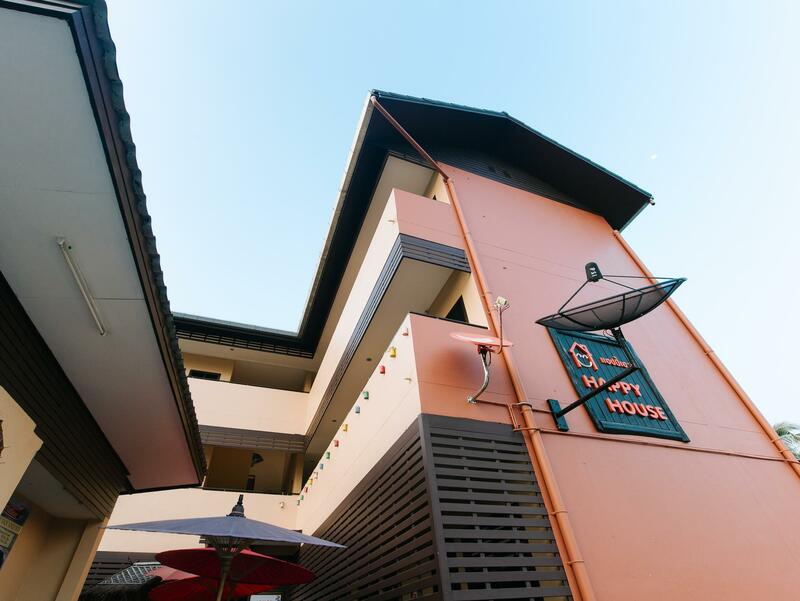 I found this ideal as I was able to access everything I wanted in and around the city but enjoyed the peaceful suburban location – and the nights are thankfully cooler around Happy House than in the centre of the city. There are many good local places to eat and they are developing a bar at the hotel so you don’t have to go into the city for a social drink and a meal. I enjoyed my stay so much that I have already booked to stay again at the end of April!